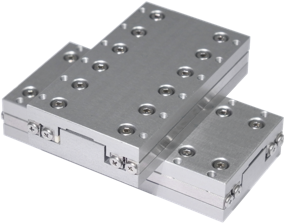 The XY-XLS consists of two XLS stages stacked on top of each other without the use of an extra adapter plate. With the XY-XLS one can position in 2-DOF with nanometre precision and repeatability. Because of the ultrasonic drive principle of the XLS stage, the XY-XLS has a long lifetime, fast, noiseless and holds its position when powered off. One can even move at very low and constant speeds (µm/s). These features makes it the perfect microscope stage or multi-DOF positioner for material science applications. The XY-XLS can be used in vacuum and made from non-magnetic materials.